the squash, along with the garlic that's roasted alongside it, lends a nutty, earthy quality to the sauce that gives it the depth that's often lacking in the original. It's finished with a sprinkle of chopped parsley before serving, which adds just a touch of freshness to the bowl of comfort. This is one pasta you'll most definitely find yourself craving all season long. Arrange a rack in the middle of the oven and heat to 425 F.
Toss the cubed squash with the garlic and olive oil in a large bowl, and season with salt and pepper. Transfer the mixture to a rimmed baking sheet and spread into an even layer. Roast until tender and caramelized, about 30 minutes. Remove the squash from the oven and let cool for 10 minutes. Transfer to a blender or food processor. Add the cream, broth, cheese and nutmeg, and blend until smooth. Season with salt and pepper as needed; set aside. Meanwhile, bring a large pot of salted water to a boil. Add the fettuccine and cook until al dente, about 10 minutes or according to package instructions. Reserve 1/2 cup of the pasta water, then drain the pasta. Return the pasta to the pot. Add the Alfredo sauce and toss with the pasta. If needed, add some of the reserved pasta water, tablespoon by tablespoon, to loosen the pasta and evenly coat it with the sauce. 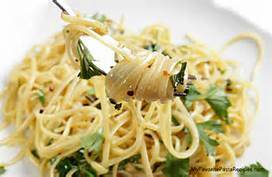 Sprinkle with the parsley and more Parmesan and serve immediately. Recipe note: Leftovers can be stored in an airtight container in the refrigerator for up to three days.